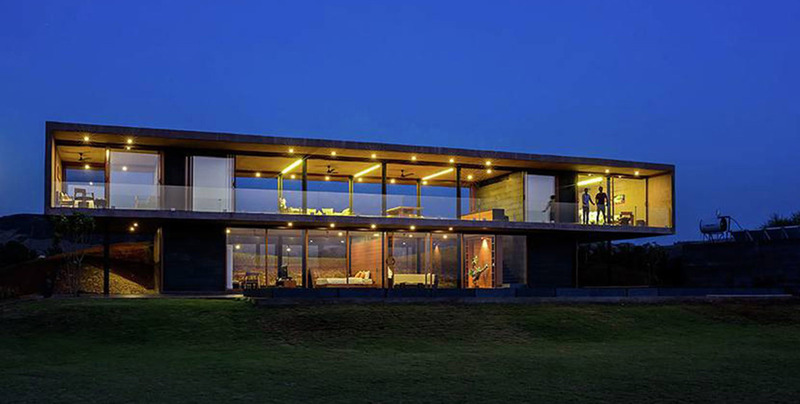 Tucked behind rolling hills of Gangapur and surrounded by the serenity of its calm waters, this luxury vineyard property consists of a superb, minimalist 3-bedroom SkyVilla with unparalleled lake views and a feeling of peace and privacy as well as 7 Lakeview rooms that are a little haven of peace and quiet. 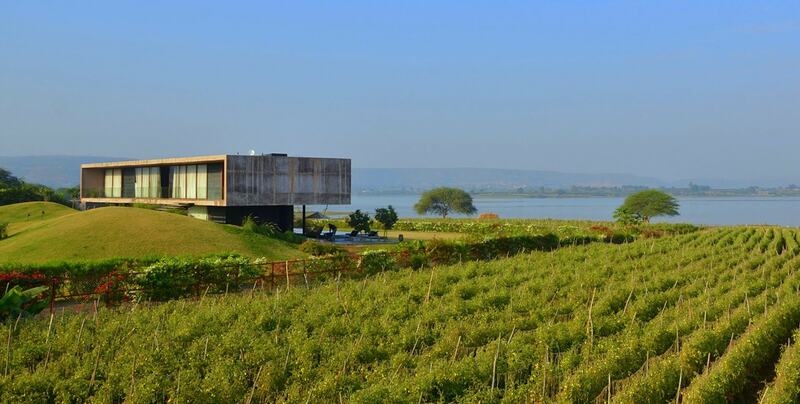 All rooms overlook the serene Gangapur lake and come fully stocked with the finest wines from Sula. 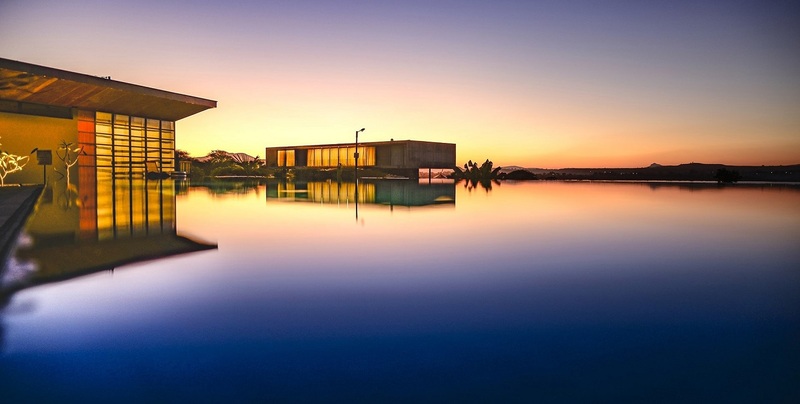 Take a dip into the world-class Infinity Pool and let your worries melt away as you become one with nature. Enjoy the golden sunset from the beautifully panelled open air Walkout Decks on SkyVilla as you share a bottle of your favourite wine with your loved ones. 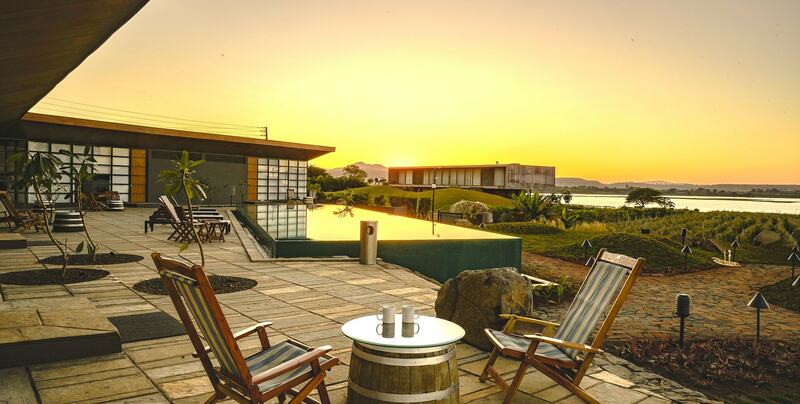 At Beyond, you can always grab a bicycle and explore the winding paths around the property and soak up the local flavour or just curl up on the luxurious recliners under the sun with a good book. After a long day of relaxing, the multi-cuisine all-day restaurant on site is just the place to enjoy the finest and freshest meals with organic ingredients from our own farms.